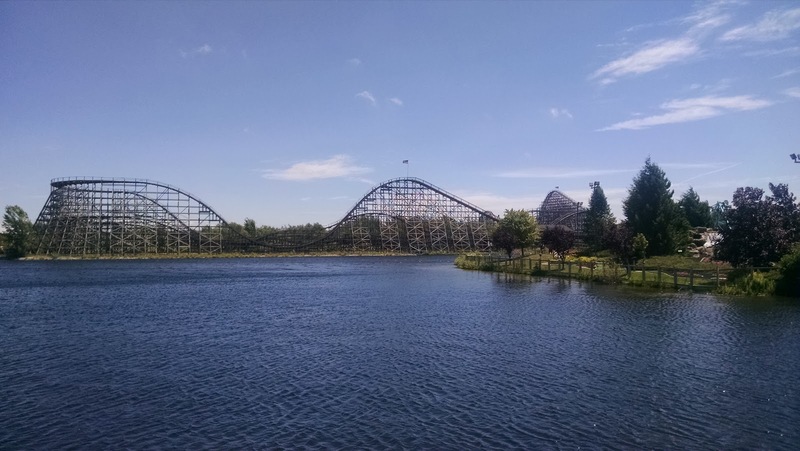 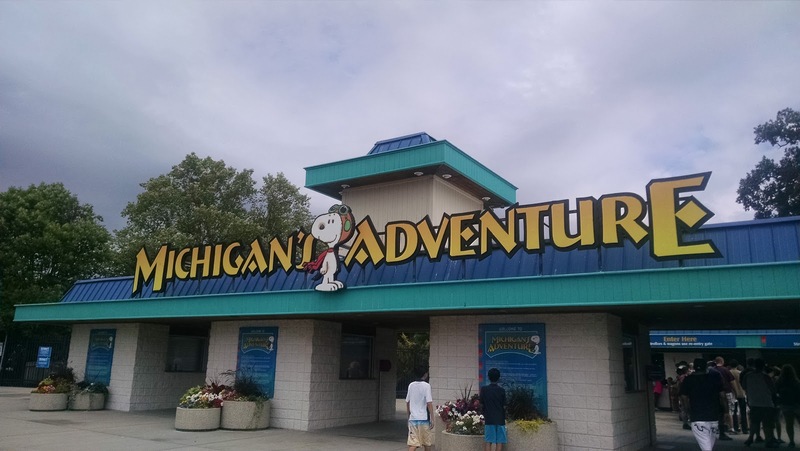 The first roller coaster park we went to on our trip was Michigan's Adventure. The conference we were at ended later Saturday afternoon, so we drove from Madison, WI (we stayed in La Porte, IN, overnight and woke up early to have breakfast with one of Eric's former professors in Holland, MI). We got here around noon on Sunday, July 17th. 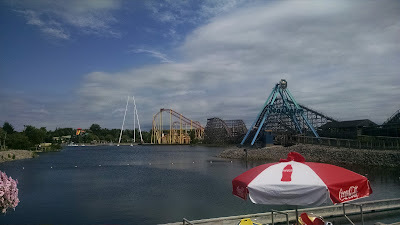 It was very windy and many rides weren't running due to high winds. They only have seven listed coasters (we didn't ride a kiddie coaster, Big Dipper). 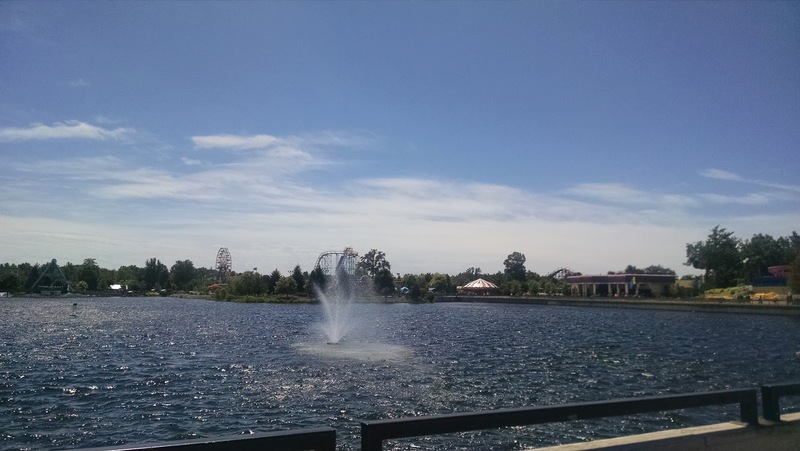 There was a Bumper Boats ride that we wanted to do in the lake (like bumper cars, but with boats), but it wasn't running while we were there. We did not do the water park. We left the park at 2:30pm, so only spent 2.5 hours here, probably the shortest time either of us has ever spent at an amusement park. 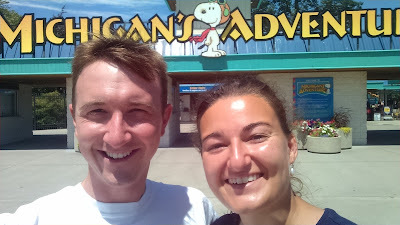 You can see Eric's round up of Michigan's Adventure here at his blog.